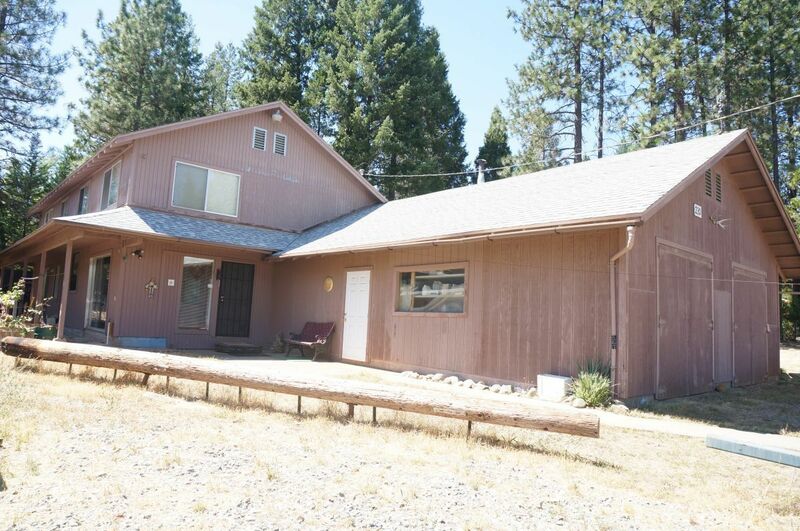 This 3 bedroom, 2 bath, 2,304 sq. ft. Home sits on .26 acres in a great location of Trinity Center, with this amazing C1 zoning, Retail Commercial, be able to live in the residence and run your business. Entering the home you will just love the imagination of the previous owner. The sunken living room features beautiful granite floors and a fire pole entrance to the upstairs. The kitchen is large with Granite counter-tops and an amazing Burl floating bar. The extra large master bedroom is a sight to see, it is entitled to hand laid Marble & Granite floors a large sitting room with a gorgeous decorative wood stove, not to mention the hand made four poster bed. Upstairs you will find the family room/bonus room with so much room to do whatever your heart desires with an additional two bedrooms.